PHOENIX, April 22, 2013 /PRNewswire/ -- Republic Services, Inc. (NYSE:RSG), one of the nation's largest recycling companies, is committed to employing the best environmental practices as it expands the Company's recycling operations. Recycling plays a critical role in creating a sustainable future and Republic is proactively expanding and modernizing its infrastructure across the U.S. so more people and communities can participate in this valuable environmental service. In 2012, the Company made improvements at three existing materials recovery facilities (MRFs), opened a new facility in Jacksonville, Florida, and broke ground on a new single-stream facility in Dallas. In 2013, Republic is expanding its recycling capabilities and meeting customer needs through its investment in three to five existing markets. This includes a retrofitted MRF in Oberlin, Ohio, which boasts advanced technology including magnets, screens and optical scanners that separate, sort and process newspaper, aluminum, plastic containers, wood, glass and steel before they are shipped out for reuse. 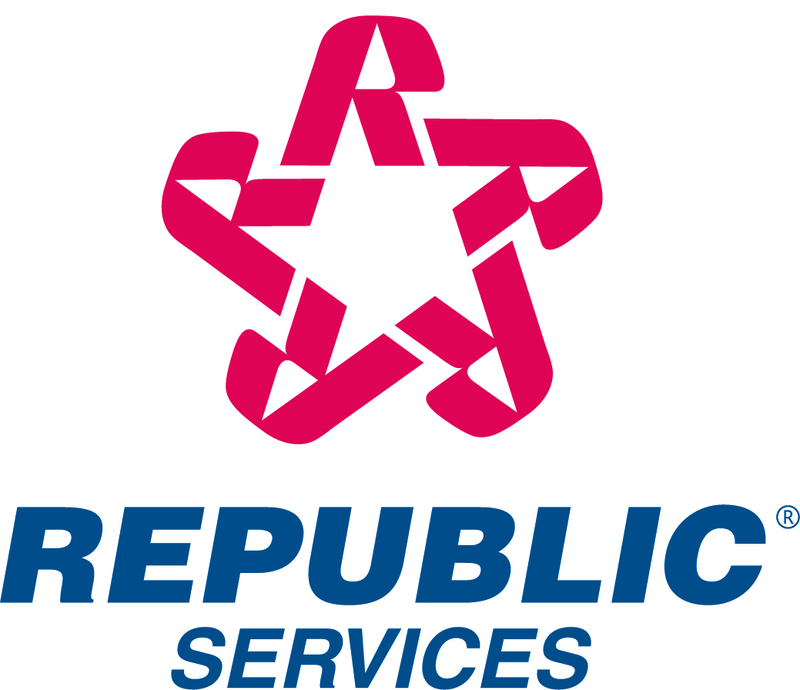 Republic Services owns 71 MRFs and recycled more than 4.5 million tons of material in 2012. "We take our role as stewards of the environment seriously and have been a leader in creating sustainable practices that address the needs of our customers," said Pete Keller, vice president recycling and customer solutions. "Republic's investment in these projects is evidence of our commitment to environmental responsibility every day, not just Earth Day." Operating 1,300 compressed natural gas (CNG) vehicles out of our total 15,000-vehicle collection fleet. We expect the natural gas share of our fleet to grow to 20 percent by 2016. Providing long-term economic and environmental benefits through innovative uses for the gas produced in landfills. Captured landfill gas at 69 of our landfills can be sold for use as heat or fuel, or be converted and sold on the energy market as a renewable power. Increasing renewable energy output at its landfill in San Antonio, Texas with a first-of-its-kind closure system that generates solar energy. Including the existing landfill gas system, the energy produced by the two fully-operational systems, continuously create about nine megawatts of power – enough to power 5,500 area homes. Transforming its closed landfill near Atlanta into a commercial scale, solar energy-generating facility with the world's largest landfill solar energy cap. Gas from the landfill is used to supply electricity, steam and chilled water to a world-famous, Atlanta-based beverage processing facility.